I know the feeling all too well: Stuck riding the bus in traffic, anxiety starting to hit as I worry if I’ll make it to my 7:30am class. All the while wondering how it’s already 7:23 yet the bus has barely moved several meters. I’ve been commuting day-in day-out for close to three years, waking up at 5am to get to school right before 7:30am, even though my pad is just five kilometers away from school. Obviously, I couldn’t change how Philippine public transport works, but I could change how I went to school. After a year of pestering my parents for their permission, I got my first motorcycle: a 2014 Kawasaki Ninja 250SL. I’ve been riding my nimble Ninja every day since February, and now I can’t see myself going to school any other way. 1. People want convenience. Gone are the days that I’d have to walk 10 minutes to the nearest bus stop to unwillingly get intimate with strangers on the bus at seven in the morning. Now I just go down to my building’s parking floor, put on my helmet and gloves, and ride off to school. I can also leave school as early or as late as I want, without worrying about bus schedules or long lines at the LRT. 2. Traffic is almost irrelevant. Once you learn how to weave through traffic safely, spotting traffic jams in the distance isn’t such a terrifying sight anymore. It also feels nice to see the bus I used to run after stuck in traffic while I just slip past. 3. Motorcycles are economical. Motorcycles are really fuel efficient. I only use around two liters of gasoline a week going back and forth between home and school, spending around P120 on gas average. Scooters, obviously, would get even better gas consumption numbers as compared to a sport bike like mine. 4. Parking is cheap and easy. At DLSU where I go to school, motorcycle parking is literally free. It’s convenient too, since the motorcycle parking lot is located right next to one of the university’s many gates. Car parking, on the other hand, costs P50 a day minimum depending on where you park, and good luck finding reasonable parking slots after 7am. I can’t really say the same for parking in other schools, but it’ll still likely be cheaper than car parking. 5. Riding is pretty safe. As long as you ride safely and responsibly, motorcycling isn’t as dangerous as most people would think. Most motorcycle-related injuries are caused by reckless riding and a lack of proper gear. Obeying basic traffic laws and being a defensive driver will greatly reduce the likelihood of any accidents. Also, I don’t really worry about getting pickpocketed on my bike, as compared to when I commute. 6. More time to sleep. My ride to school in the morning only takes me around 20 minutes as compared to the 45 minutes to an hour I would spend commuting. And since I need not wait for the bus anymore, I get to sleep in a little more. Getting to school earlier also means I have time to wash my face or get coffee. The ride home is quick, too, lasting 30 minutes at most compared to the hour I spend on the bus (not counting the time spent waiting for the bus to show up). 7. Learning to be more responsible. Owning a motorcycle entails more responsibilities than just keeping it upright and filled with gas. Being on a smaller and more vulnerable vehicle helps keep my ego in check and demands that I pay more attention to whatever’s on the road. Having to clean and maintain the bike as well as my gear reinforces the fact that you must put effort into things to make them work. 8. Enjoy the scenery. While commuting, it’s easy to get lost in your own thoughts. But on a motorcycle, since you’re already watching everything around you, it’s much easier to appreciate the weather, scenery, nice cars and other sleek bikes on the road. 9. Meet more biker friends. 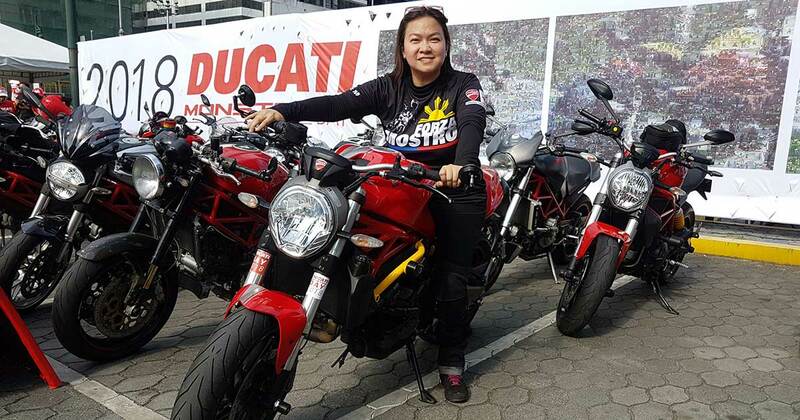 Like pursuing other hobbies, getting into riding motorcycles means sharing an interest with other enthusiasts. It’s always fun to get into conversations with fellow enthusiasts at parking lots, stoplights, or wherever. 10. Riding is fun. Riding to school gives me one more thing to look forward to when I wake up in the morning. 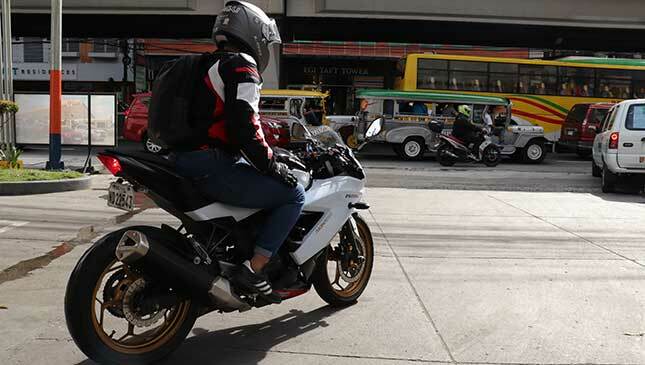 The growl of the engine, the feeling of leaning the bike over a bit in corners, and the satisfaction of a smooth shift; all these sensations blend together into an experience I wouldn’t be able to enjoy while staring into space on public transport. Students are you convinced? So, stop cursing and start riding!